I would like to know if using themes are working for the current version. If not I completely understand, and I can wait for an update where it would works natively. What i currently did was getting themes for Emulation Station. Done on copying themes on the Themes folder then restarted the system. After that, the theme can now be selected under list of themes, however it does not change anything. Had to do a second restart to make the theme active, however it appears as texts on a white background. I've read it somewhere here, and are having the same issue. Just want to make sure it's normal, and not something what I'm doing is wrong. I have the same issue, that themes for Emulation Station only show texts on a white background. The hyperspin wheel style, introduced in Recalbox is certainly an advantage for making good looking themes as Alexfull. Now, apart all the other problems that they have, I am asking me if this also takes away some ressources from the pure gaming part. But sure for the look, there is some challenge in Batocera. there must be someone that made a good theme for batocera right? just move themes to batocera/system/emulationstation'/themes . after boot batocera and choose interface option and on theme you can change ist, dont reboot, just refresh for new roms . But in batocera folder trough f1. Then do a reboot. Then choose the theme and then rescrape? If so I am going to be so happy. Does the menu sounds also be playing? I know can't have everything but hey. 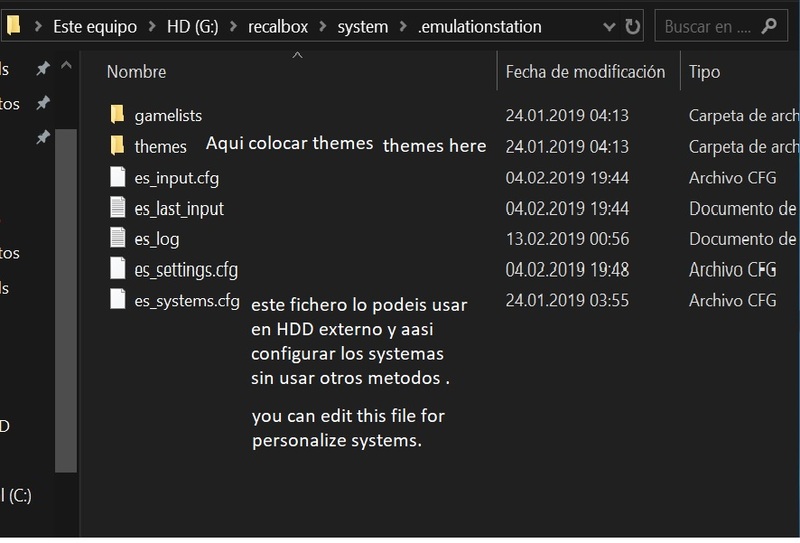 tris20 no you dont need to use F1, just move themes to HDD folder recalbox/system/emulationstation/theme and same time you can personalize your own es_systems.cfg on emulationstation folder ,. What do I need to change than in the config file? Maybe you can make an small tutorial with the steps to do? GameCast can you clarify the point about personalizing the es_systems.cfg file? I've done this many times in Retropie, but I've tried many different ways in Batocera, including the location you're talking about. The closest thing I've gotten to a result is system errors at boot with 'system configuration file missing, unfortunately you'll have to do this by hand'. 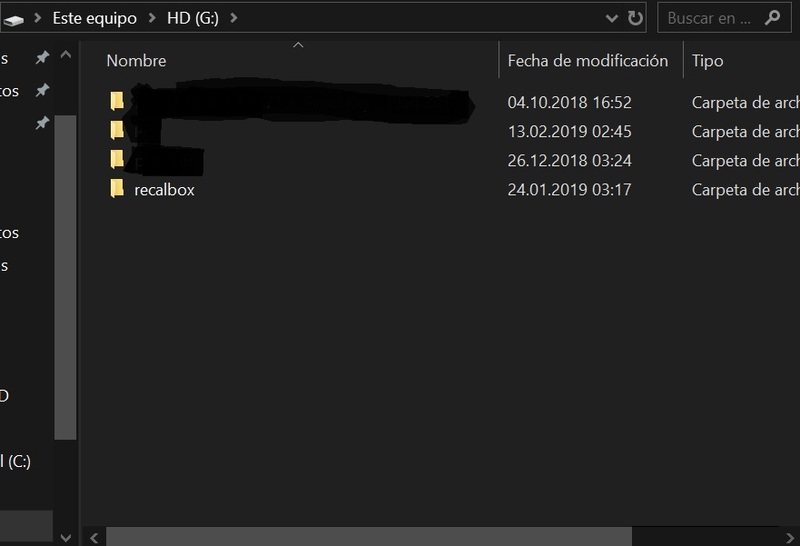 I've tried over ssh (winscp) as well as moving a modified version from a usb drive. Any help you can offer would be greatly appreciated. I'm in unfamiliar territory. tris20 no you dont need change nothing in configfile only wiimote to true if you emulating wii . well i tried youre way. no succes tried multiple themes. I can pretty much see that theme customization is not yet fully ported to Batocera. I can understand, I do hope in future updates it will be doable, I have a theme that I badly want to use to make the emulation system complete. I really miss this option. Hope this is on the to do list. Or is there an tutorial how to change it so the theme we want to use works? That's the folder I mean. And then I need to change the config file to point to the theme? iam using the x84 build btw. tris20 than you need to boot batocera and go to interface options and change the theme there ,. PI3 themes would not work on windows batocera cause the xml are configured on diferent way ,. 1a Copied the Theme folder to "\BATOCERA\share\recalbox\system\.emulationstation\themes"
1d After restart, the themes list were still the same. Only the defaults can be selected. 2a Copied the Themes folder to "\BATOCERA\share\system\.emulationstation\themes"
2e After restart, the theme has changed. However not the desired theme as the only elements showing are Black Texts, White Background and no sound. did you try the es-theme-zoid i posted above? This theme works for me. Infiltraitor that is normal cause alot of themes are old and wont have some systems or sounds . joinski Thanks, honesty I haven't tried the zoid theme. I will be doing it the next time I'll boot my Batocera PC. GameCast You're right, It appears Batocera is built more on the Performance side and a little for Visuals, I can live with that. Batocera's default theme is looking good for me though, but I could prefer a more retro look. I had to update joinski that the Zoid Theme does work, placing the theme at "\BATOCERA\share\system\.emulationstation\themes". Wondering if I can edit that to make other themes work over it. said it must be for a RPi3. Moreover, editing HTML's are not my thing. I can stick with the stock theme, zoid theme or wait for a working theme along the way. unfortunately some systems are missing like naomi or jaguar ..